DO NOT PUT THEM IN WATER – as they will die almost instantly! Instead, refrigerate them in an open bag or box, or put them on ice, between layers of newspaper. Storage in original plastic bag is okay. 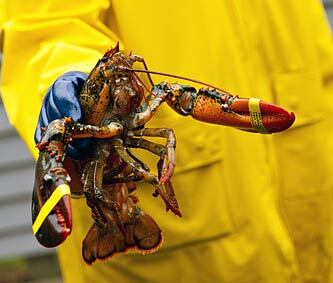 The most common cooking method for live lobsters is to boil them. It is easy! Place lobsters into the pot head first, completely submerging them. Place the lid back on the the pot and bring the water back to boiling. Once the water is back to boiling, begin timing the cooking of the lobsters, allowing 12 minutes for the first pound and 3 more minutes for each additional pound. Example: A 1.5 pound lobster would cook for 13 1/2 minutes. Tip:When the antennae pull out easily, your lobster(s) are done! Times given are for live, hard-shelled lobsters (such as from The Lobster Trap). 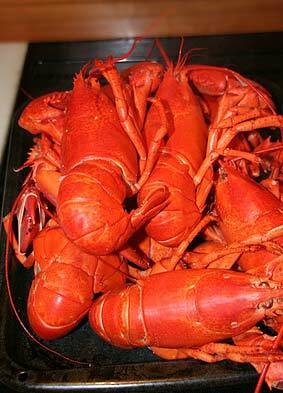 If you are cooking soft shelled lobsters, reduce boiling time by three minutes. Add peppercorns, lemon wedges or a cup of white wine to the boiling water to add a bit of flavor. Thaw in water for approximately 15 minutes. Split the shell length-wise and place under broiler for 10-15 minutes. Split shell length-wise. Baste meat with butter. Wrap in foil and place on grill for 10-15 minutes. 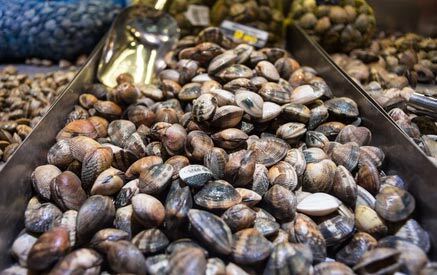 Place clams in a steamer. When they open, they are done. When they open, they’re done!